So, another week has come and gone and with it comes an all new POW, Pick of The Week podcast. You’ve found your way here, so you must be at least mildly curious as to what mysterious wonders are to be had on this week’s podcast. Why not take a load off and listen? It’d be a considerably wise decision. This week, Ian has the pick and he’s joined by Ken and Simon. Our fearless comic-philes let you know exactly what to read and what to stay away from for the week of March 23rd. 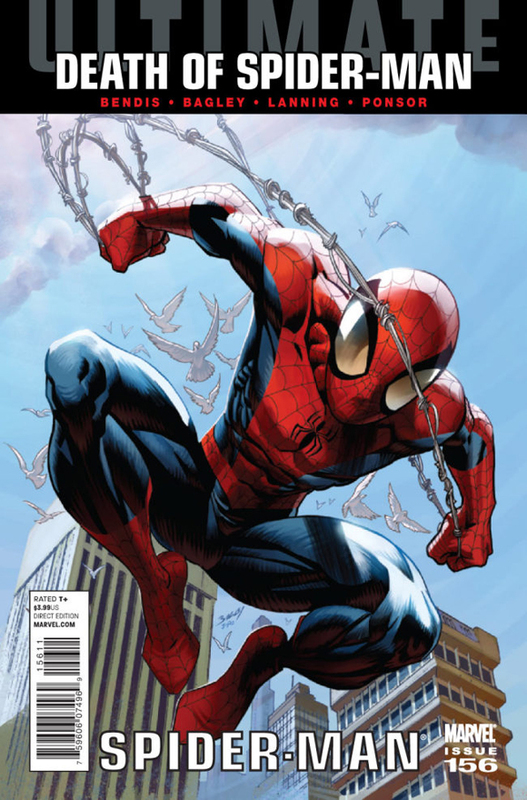 Ian picked Ultimate Spider-Man #156, but it wasn’t an easy decision. There were some good books to be had. The guys also talk about Batman: The Dark Knight #2, Haunt #14, Green Lantern #64, Green Lantern Corps #58, Invincible #78, FF #1, Astonishing Spider-Man and Wolverine #5, Captain America #615.1 and Daredevil Reborn #3.